My husband is a coffee lover, there’s no other way to say it! Over the years, he has become a coffee connoisseur…no more coffee maker, just a french press, whole beans, a Keurig and K-Cups so he can choose from many different flavors. Morning, noon or night, it doesn’t matter! He almost always seems to have a cup of coffee in his hands. As it cools down here in California, my husband loves having a big cup of coffee after dinner but we all know what that can do to someone that has to get to bed early for work in the morning. The last thing he needs is to enjoy a hot cup of coffee while we watch TV together and then not be able to get to sleep when we head to bed. He gets up early every morning and works hard so he needs his rest! 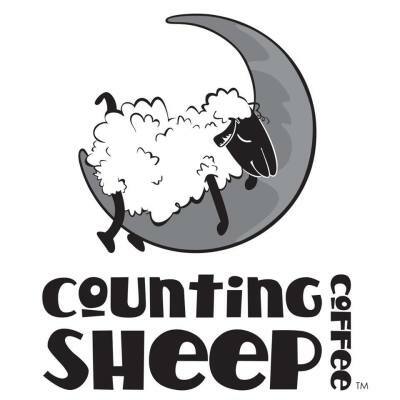 That’s why I’m so happy to have found Counting Sheep Coffee! Now my husband can have a hot cup of coffee, any time of the day, without worrying if he’s going to lay awake at night afterwards. 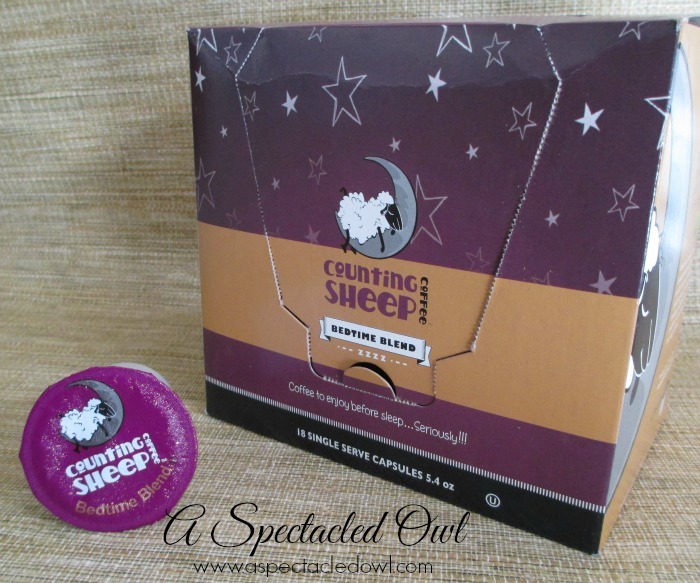 Counting Sheep Coffee is a decaffeinated coffee that is blended with organic valerian root (which is an herbal sedative) that helps you to unwind after a long day, while still being able to enjoy a great tasting cup of coffee. There are 2 varieties of coffee: Bedtime Blend/40 Winks and the Lights Out! variety with more valerian root and a bolder taste. My husband was able to try both in the K-Cups and he really loved the taste. Now, he can enjoy coffee with his dessert but also still get a good night’s sleep. 10 winners will each win 1 box of K-Cups or Whole Beans (winners choice) and is open to US/CAN. I’d love to enjoy an evening cup of coffee without worrying about it keeping me up! 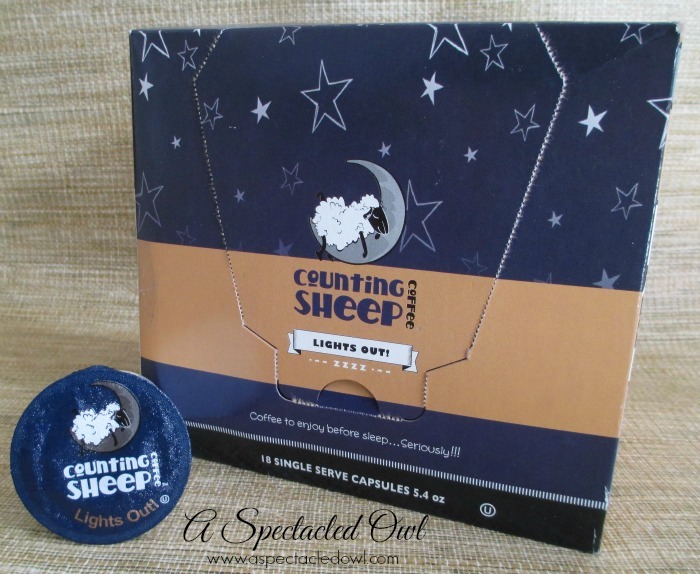 Can’t wait to try Counting Sheep Coffee! I like that they have a Store Locator on their web site. I like the fact that you can have a cup of coffee any time and on the go and it is decaffeinated. Coffee designed to help you sleep? LOVE IT! The website was just fun to read and look at. I spent way too much time there but I will definitely remember the brand. Great navigation and awesome photos! Great site!! I like that you can drink it at night and it won’t keep you awake! I love the layout of the website and the coffee sounds so good! I love the overall design of the site! The coffee looks delicious! Love they have a night time blend to help you sleep. I love the website..cute and eye-catching. I also really want to try this coffee. I like THE PERFECT GIFT!! I think the website is cute. I have looked for this brand, but can’t find it in my area. I use Valerian in another product to help me sleep. Having it available in a cup of coffee would be nice because I actually like coffee before bed. I do like that this website tells you where you can purchase the coffee. I love their Swiss Water® decaffeinated coffee is blended with organic valerian root. I could drink coffee 24/7 nice to try something that won’t keep me up all night. I like that Shape Magazine discovered them at the 2014 Fancy Food Show in New York and were really excited about the product! I do like that I can buy this on Amazon, and so convenient. I liked the suggestion of an evening latte that won’t keep you awake. The website was fun and also showed you local retailers where you can purchase this brand. The Sheep logo design is so cute! Thanks for the kind posts everyone! Glad you like the site and I know you will love the coffee! Have a great sleep. Thanks so much for stopping, Deland! I like that this is the perfect unique gift to make their nights more enjoyable and restful. I like that they tell you about the different people working for that company and interesting things about them. I like that the website has reviews that I can look at before purchasing. I love the brand name and I like the parametric scrolling website design, as well. Thanks for the chance to win! I love that this is a great way to have coffee at night and not worry about being kept awake! I do like the Bedtime Blend coffee to try! I do like the graphics and the sheep picture on the website! I LIKE THAT THE WEBSITE ANSWERS ALL THE questions about the coffee. I love how the site endorses a cup of coffee at any time of day, including a relaxing cup before bed. You can tell these guys have a real passion for coffee and put all of that into their products! I like their Lights Out! Blend and would love to try this and also give for gifts.